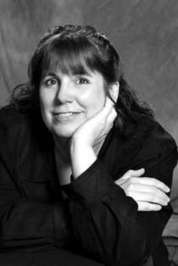 There is an interesting article on the Writer’s Digest website, 11 Plot Pitfalls – And How To Rescue Your Story From Them, by Laura Whitcomb (born December 19, 1958), an American writer and teacher. Whitcomb grew up in Pasadena, California. She received a degree in English from California State University in 1993. She is best known for her book A Certain Slant of Light, which has been optioned for a film by Summit Entertainment. Whitcomb has won three Kay Snow awards and was runner-up in the Bulwer-Lytton Writing Contest. 1. THE PLOT ISN’T ORIGINAL ENOUGH. It may be very similar to another story, play or movie. When I write, I have an issue or two, the setting, and the characters in mind before I start. I also define the direction that the novel will take, but my novels tend not to be driven by a pre-conceived plot. 2. READERS ALWAYS KNOW EXACTLY WHAT’S GOING TO HAPPEN. This can definitely be a problem is one is working with stereotypical characters and a familiar plot. When I start a novel, I don’t know what’s going to happen. It depends on how the characters (who have to be pretty unique) react to the issue(s) in their particular setting. And often, I’ll take pains to shape the story so that the character goes down an unexpected path. 3. THE PLOT IS BORING. “Often, after thinking of wild ideas to make the story more interesting, you begin to come up with workable ones that are just as stimulating, but better suited to your book.” I agree. 4. THE PLOT IS ALL ACTION AND THE FRENZIED PACE NUMBS READERS. Ms Whitcomb makes the point that it is important to give the characters an opportunity to reflect on what has happened, consider what might happen, and express their feelings. Real life isn’t all action. 7. SUSPENSION OF DISBELIEF IS DESTROYED. “Readers need to buy into the reality put forward by what they’re reading. You may go too far with a plot point or not far enough with preparing your audience for that plot point.” I think this is a very good point. As a writer, one constantly has to ask, ‘is this believable?’ If not, something has to change. 8. TOO MANY SUBPLOTS MAKE THE PLOT OVERLY COMPLEX. Only Agatha Christie could get away with this. 9. THE SEQUENCE IS ILLOGICAL. “If you feel the order of scenes or events in your story is off, list each scene on a separate index card and, in red ink, write a question mark on every card that doesn’t feel right where it is in the story. Shuffle the cards. I’m not kidding. Mix them up completely. Lay them out again in the order you think they might work best, giving special attention to those with red question marks.” It’s important to feel the reaction of the reader at every point in the story. I would add one more point: keep the suspense coming in waves. This solves several of the problems mentioned above.